So the year was 1981, and SMA, one of the best names in solar was born. 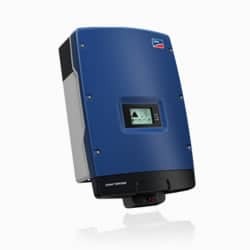 They are the world leader in solar PV inverters. For business or home, SMA make PV products that are second to none. SMA has been a big brand here for a long time too. 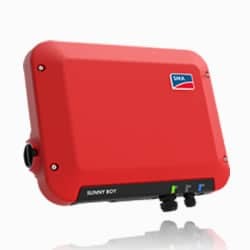 We have the one phase Sunny Boy and three phase Tripower range in our stock. There are 1.5kW up to 6kW single phase units and 3kW to 12kw three phase models. All have the great Wi Fi “Web Connected” app free as standard. You can trust their 5 year local warranty too. SMA has its Aussie branch in North Sydney, NSW, so that's good news for SMA owners. At least you know they are here, so if you have to call them they can be reached. SMA has won a lot of prizes over the years, so PV buyers know the SMA brand well. 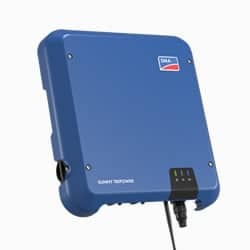 In fact, we have two of the best known in the SMA inverter range, in our stock. So it’s the one phase "Sunny Boy" or the three phase "Tripower", both best in their class. 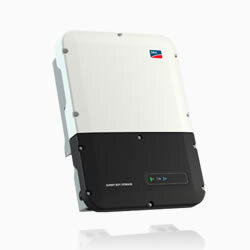 The SUNNY BOY goes from 1.5 up to 5kW and then the SUNNY TRIPOWER from 3 up to 12kW. So one of these has got to cover your base! What's more all of them can hook up to the Sunny Home Manager 2.0 as well. Which then checks on the power as it flows through you home. And so in turn, this works in with the SMA Energy Meter too. SMA have devised ways for the home owner so they can save up to 80% on their power costs. They have worked out a flexible set up so that can you can scale it to your needs. As a result, you get the most out of your PV system. SMA owners get the reward of years of field tests and so you can too. Lastly, SMA have "Opti flex" and "Opti track" too, that help make sure your PV works at its peak. 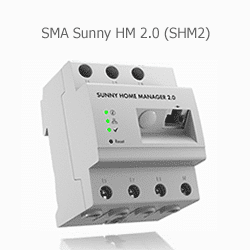 You can hook them up to Blue tooth and SMA Sunny Web so it is easy to check your PV. 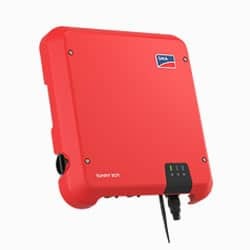 SMA has in fact made a PV battery inverter that is the first of its kind. They now have a multi string unit so you can use it at your home. 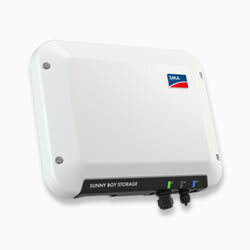 They call it the Sunny Boy Storage System and it has rocked the PV world since its launch. Indeed, here's some of the things it can do for you. If you have Sunny Boy Storage at your home, it can flex with your needs. It could be that you have a swimming pool? Or maybe you have an electric car and want to charge it up each day? Well then, this is just what you have been looking for to meet those needs. It can start off small, but you can scale it to what ever you have in mind. Its "multi string" so you can hook up three types of battery at the same time. And then if you want you can join them in parallel too, with its three DC inputs. The good news is that you can also retro fit one of these too. As in fact it hooks up to any AC coupled kit. So it doesn't matter if it’s a new or an old home with PV already, these can go in quick. But the SBSS can do more, it can set your home free from the Grid and its insane power prices. And because it’s an SMA you know you are buying the best. The SHM2 is "brains of the outfit" that in fact, makes for the best use of power in your home. Its task is to watch the power as it moves in your home, then shift it to the best place. So it does this and shows how much and which way power the going. If there are any spare PV kW's, it will move them out to the Grid while demand is low. But its main job is to make sure that you use as much of the PV you make, at home. This set up is not cheap, but it’s the best you can buy for what it does. The EM shows use of mains and PV power in the home or so what's going out to the Grid. But its other task can be to limit that PV power too. So with some installs you must put one in by law.